ngineering Failure Analysis » published on ScienceDirect.com. High strength low alloy (HSLA) steel with a nominal composition of 0.15C–1.25Cr–1Mo–0.25V is being extensively used in space programme. Owing to its ease of fabrication and welding, a tank was fabricated out of this alloy. The tank is used to contain strontium per chlorate which on combustion develop secondary thrust, effectively used during attitude control of satellite launch vehicle. During one of the routine qualification tests, a tank had failed at an internal pressure of 109 bar, against a designed proof pressure of 120 bar. 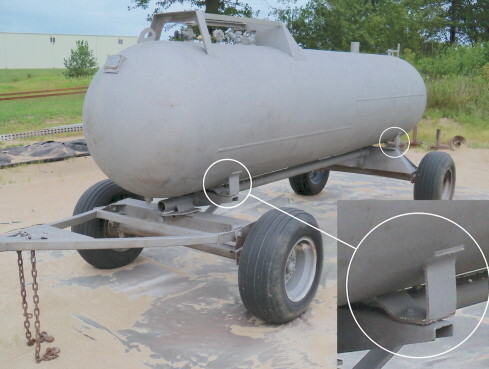 In an accident in southwest Iowa, USA in 2012, an anhydrous ammonia nurse tank vented its entire cargo of 5500 liters (1500 gallons) of liquid ammonia to the atmosphere. 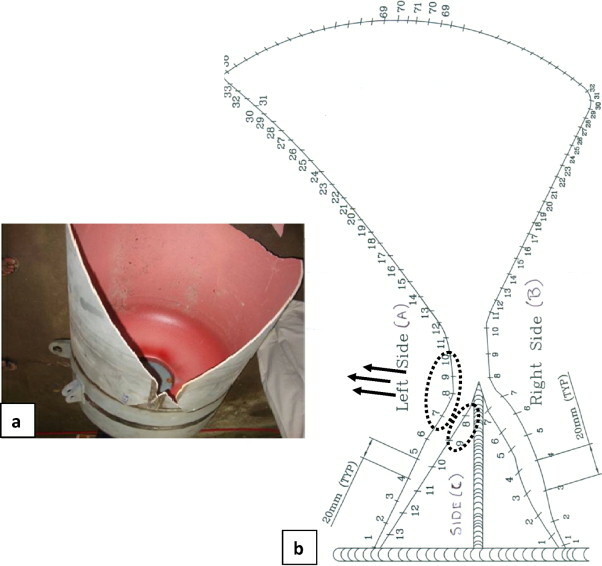 Follow-up study of the failed tank revealed a through-crack along a weld used to connect the tank to its running gear. The authors recommend that side-angle ultrasound be considered for use in periodic nurse tank inspections. via Leg Weld Fatigue Cracks in Anhydrous Ammonia Nurse Tanks.